Israel - Israeli-Palestinian conflict - "Genocide"
Israel-haters around the world (including very senior figures) often claim that Israel is carrying out a "genocide" of the Palestinians. This comical claim is easy to refute, so here is a page to do so. Actually, Palestinians Are Doing Pretty Well Under Israeli Rule, Jonah Cohen, March 20, 2018. 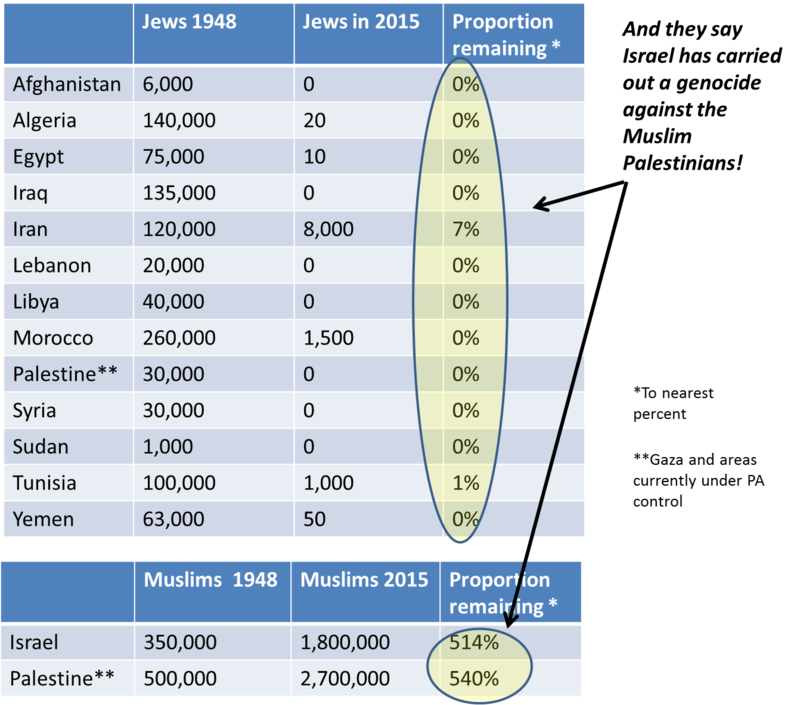 Are Jews the most incompetent “ethnic cleansers” in the world? CiF Watch says Jews seem to be really crap at genocide. Minister Of Genocide Forced To Resign Over Persistent Failures. Hilarious satire. "An Israeli political career came to an ignominious end today when the Minister for Genocidal Affairs announced his resignation, following a scathing governmental report on the failure of the ministry to implement any sort of genocide at all, despite having decades in which to perform it." "Incremental genocide" - The Israel haters' comical term for the very slow genocide that cannot really be detected by any means, but which the Israel haters just know is genocide. 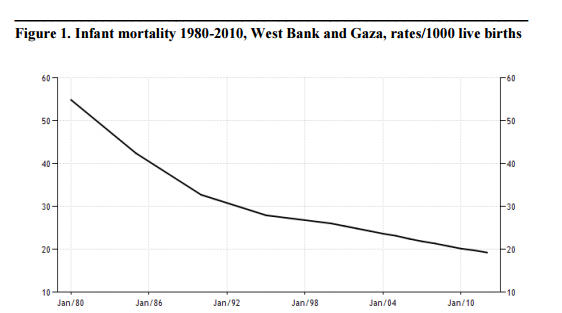 Infant mortality in the West Bank and Gaza, under "genocidal" Israeli rule. 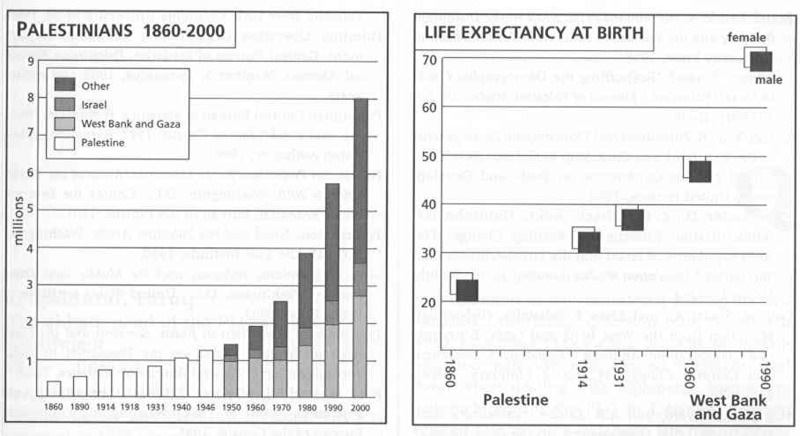 The brutal Gazan genocide in graph form. 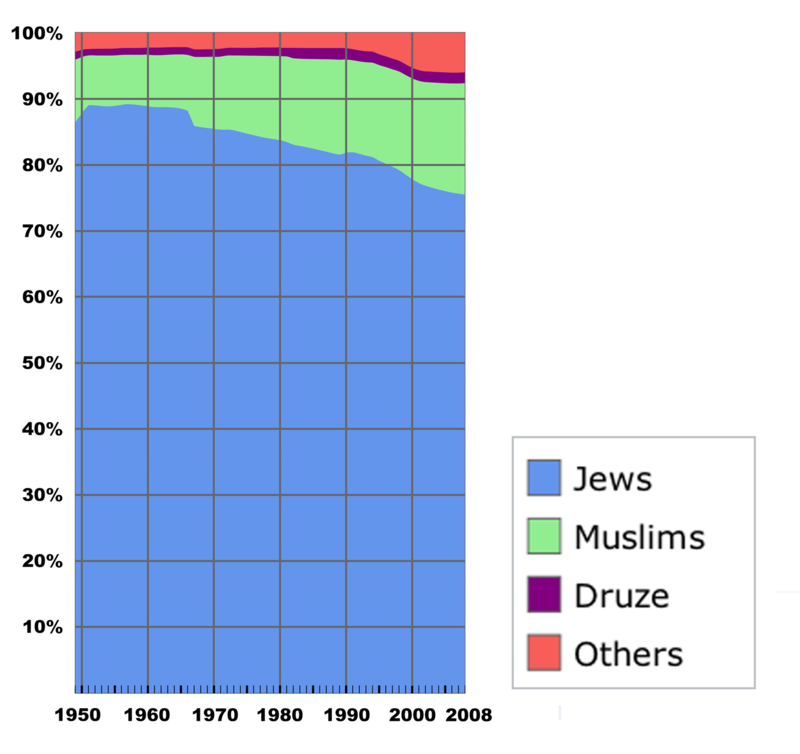 The Muslim population of Israel keeps growing. It's a very, very, very slow genocide. 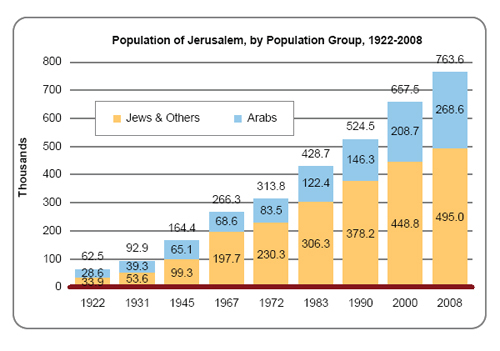 The Arab population of Jerusalem keeps growing. The Jews are really crap at this. 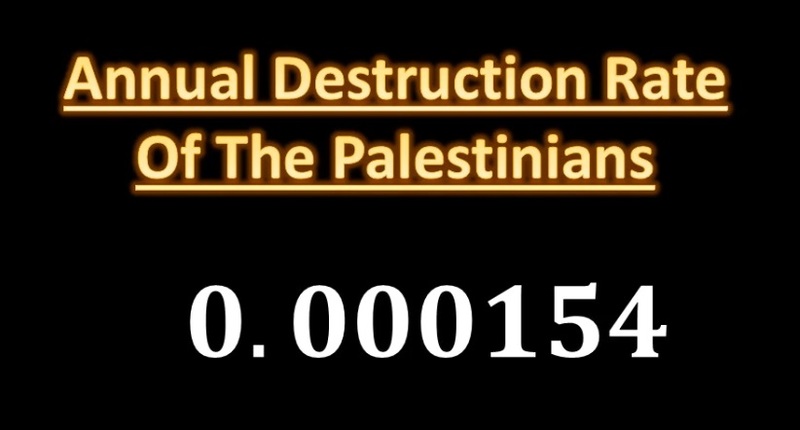 Video: "The Genocide Of The Palestinians" puts some numbers on it. He looks at the killings per population for other genocides. 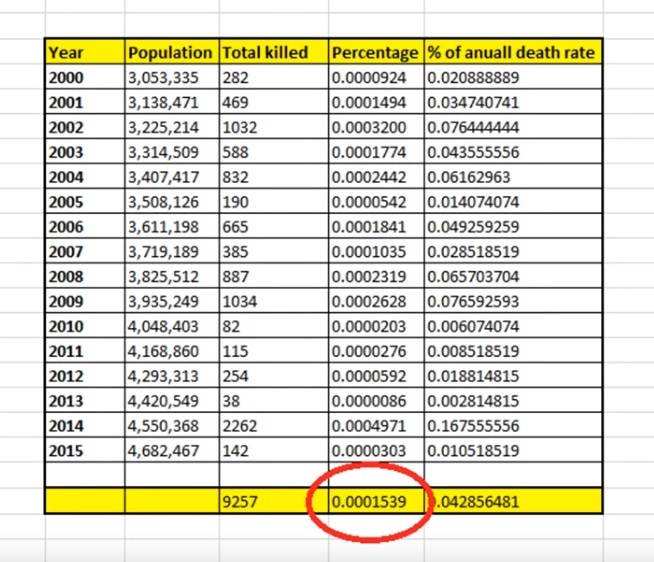 Then he looks at the killings per population for the Palestinian "genocide". Of course it is the Jews, not the Palestinians, who have suffered an actual genocide. Actual genocide looks like this. 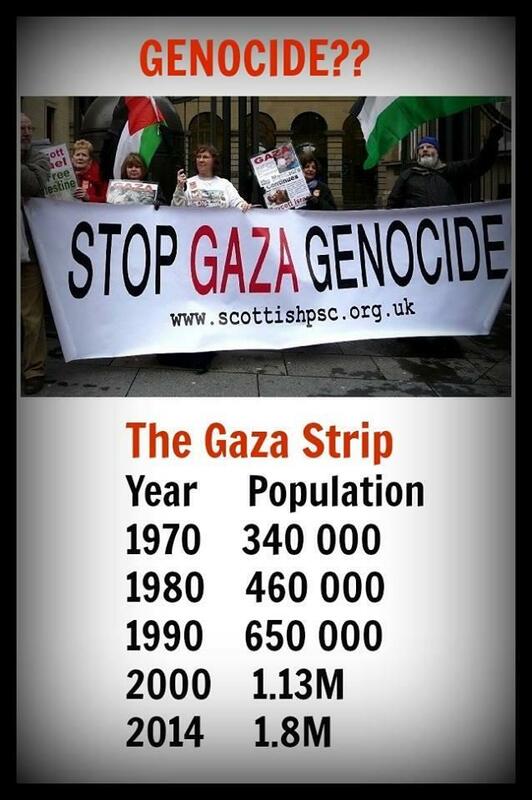 Genocide and ethnic cleansing stats. The Nazis carried out an actual genocide of the Jews. The Arabs then carried out a thorough ethnic cleansing of their Jews. 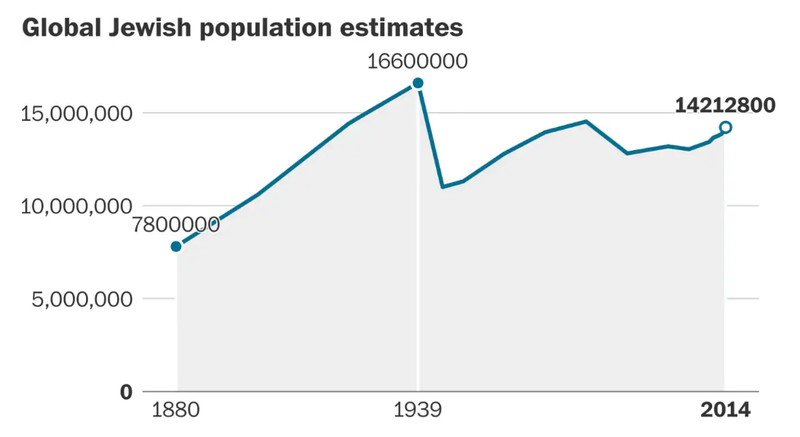 Jews in Europe: 9.5 million in 1933, 3.5 million in 1950. "16 people on both sides have died in the Israel-Palestinian conflict this year. 16! And people still claim 'genocide' with a straight face." - Derek Hopper, 20 Oct 2013.